People have always sought out new and innovative ways to reduce or avoid taxes. In estate planning, some of the more traditional methods have included designating a beneficiary directly in an insurance policy or naming a joint account holder with a right of survivorship. Multiple wills are another effective technique and as a result, have become increasingly popular over the last decade. 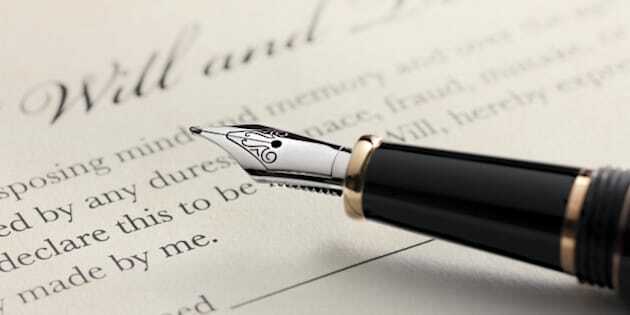 Last will and testament document with closeup on fountain pen with signature line. Critical focus on fountain pen. People have always sought out new and innovative ways to reduce or avoid taxes. In estate planning, some of the more traditional methods have included designating a beneficiary directly in an insurance policy or naming a joint account holder with a right of survivorship. By removing assets from the overall value of the estate, the amount of Estate Administration Tax payable is reduced. Multiple wills are another effective technique and as a result, have become increasingly popular over the last decade. In Ontario, the process of probating a will is known as obtaining a Certificate of Appointment of Estate Trustee (“Certificate”). Obtaining the Certificate is not a mandatory step because the powers that give an Estate Trustee the authority to act on behalf of an estate are derived from the will itself. However, many third parties will require it as proof of authority nonetheless (most notably, the Land Registry Office and banking institutions). This means that, practically speaking, probate is often necessary when dealing with certain assets. When the Estate Trustee applies for the Certificate, he or she is required to pay Estate Administration Tax based on the estimated value of the assets included in the will that is being submitted with the application. Multiple wills circumvent part of this tax by separating assets into two separate wills. The primary will contains all assets that will likely require a Certificate, such as real property or bank accounts that are not held jointly. The secondary will contains assets that can be dealt with even without a Certificate. In this way, Estate Administration Tax is only paid on the value of the assets contained in the primary will being submitted with the application and the assets in the secondary will are exempt. The practice of using multiple wills has become especially useful for individuals with corporate assets. When shares in privately owned corporations comprise a large portion of an estate, paying Estate Administration Tax on them can be very costly. These shares can typically be transferred without a Certificate, meaning the Estate Administration Tax will only need to be paid on their value if they are lumped into the same will that contains other assets which do require a Certificate. By using multiple wills and placing the corporate assets into the secondary will, this can be avoided. Situations can arise where it may be advisable to apply for a Certificate with respect to shares in a closely held company, valuable art, or other assets that normally will not need probate to be administered. For instance, if the beneficiary of a piece of artwork intends to later sell to a third party, it is possible that an arm’s length buyer will request proof that the Estate Trustees had the requisite authority to transfer the work initially. To that end, it is possible to use more than two wills in the planning stage, and to apply for a Certificate in respect of each one individually if it becomes necessary to do so. Shielding assets from Estate Administration Tax is not the only advantage to using multiple wills. Another incentive is the desire for privacy. Because the secondary will is not probated, it never becomes a public document. This can be advantageous when the testator has left unequal dispositions among family or when he or she simply wishes the value of the estate to remain confidential. Despite the advantages, multiple wills bring some important risks that should be considered. The main challenge associated with multiple wills is their sheer complexity. The more complex the documents become, the more opportunity there is for even the most careful plan to derail. For example, including standard revocation clauses in both wills may lead to the accidental revocation of the primary will by the secondary will. If there are different sets of Estate Trustees acting under each will, this can also create unnecessary conflicts surrounding which group is responsible for which duties. Furthermore, there is a risk of inadvertently creating a situation of ongoing liability to the Canada Revenue Agency when assets under one will have been distributed but not the other. Tax apportionment issues are another potential challenge. When there are capital gains owed, will it come from the value of the estate listed under the primary will, the secondary will, or from the residue of both combined? Multiple wills are not a new phenomenon. Their use has been deeply entrenched in the law of wills for many years. Historically, they were used where a testator had assets in different countries, or where he or she wanted different executors to deal with separate assets. However, in the last decade, their popularity has surged primarily due to the new tax planning advantages they provide. While the government of Ontario initially opposed this practice, in 1998 the Court held in Granovsky Estate v Ontario that limited grants of probate were acceptable. In other words, there is no legal obligation to probate the secondary will. Today, as estates are becoming larger and more complex, multiple wills continue to grow in popularity. With this comes new challenges both in drafting and administration. As a result, it is important to carefully consider whether the risks outweigh the benefits.